Have you ever experienced heaven on earth? Did you know you don’t have to have a near-death experience or see a light at the end of a tunnel, or have a transcendental event to find it? In this fascinating video interview, my special guest Martin Rutte, reveals exactly how to enjoy magical moments every day! If you’ve had a desire to create a more meaningful existence, or enhance what you contribute to the world, then make sure you watch this show! NL: Hi everyone. 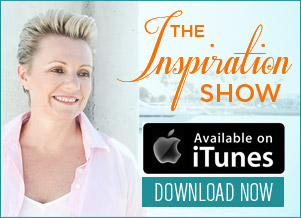 My name is Natalie Ledwell and this is The Inspiration Show. Today on the show, I have a very good friend of mine. He is the author of an amazing book called “Project Heaven on Earth” which we are going to be talking a little bit about and we are going to be talking about our different way of looking at how we live life, you know, and then also talking about some other projects that he’s working on that I think that really could be very easily implemented in to your own life and in to your own communities. So we’ll talk about more of that in a moment. But before I introduce my special guest, I just want to remind you that once the show is over, don’t forget to click the link below this video so you can download the free ebook version of my bestselling book “Never In Your Wildest Dreams”. So please let me introduce my good friend Martin Rutte. How are you Martin? MR: Hi Natalie. A delight to be with you. Always always. My soul sings. NL: Aww, I know. I love spending time with you as well. We’re both members of the Transformational Leaders Council which is how we initially met. And I’ve had Martin on the show before but I wanted to bring him back to share some further insights and expand on the show that he did before. But, so why don’t we start Martin with you telling us a little bit about your background and what you do for those people who may have missed the previous show. MR: Sure. I’m a management consultant. I’ve been working through my career with large companies. Sony Pictures, Southern California Edison, Marion Merrell Dow, I have spoken at the Harvard Business School 4 times on vision, co-author of the New York Times business bestseller Chicken Soup for the Soul at Work. So I have a pretty traditional management consulting background and I think the juxtaposition Natalie is that maybe 20-25 years ago, I began to think I’m not happy with the results I see in the world. If the world was my client, I’m not really happy. And what I get paid for is to produce extraordinary results so what would be a result in the world that I would really like to see and this thought popped in to my head, Oh you mean Heaven on Earth. And I got to tell you the first time that popped in to my head I went (slap) woah, you can’t say that, people will think you’re crazy. You’re proslatizing, you got some hidden agenda but the more I thought about it, the more I thought, but wait a minute, we can talk about hell on earth can’t we? That’s a permissible topic of conversation. A lot of it today. Why can’t we talk about heaven on earth, why can’t we talk about the deep yearning we have in our soul for the kind of life in work, in family, in relationships, country, world that we want and why can’t that be normal conversation and how do we get to do that simply and part of this interview is going to be about the word simple. 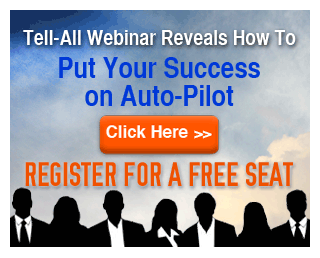 I’ve discovered it has an enormous power and so what I did was interview, because I got my information through interviewing, speaking with people over and over and over. You know, what’s heaven on earth? What’s heaven on earth. So the book is this 3 questions which I’ll go in to and the questions are designed to elicit heaven on earth for you. You can go to my website projectheavenonearth.com and get more information. The 3 questions are Recall a Time, shall we do it quickly? MR: Recall a time when you experienced heaven on earth. What was going on? NL: I was with my puppy and I was paddle boarding out here on the the marina. MR: Lovely, very clear. Second question, imagine you have a magic wand and with this wand you can have heaven on earth. What’s heaven on earth for you? NL: Heaven on earth for me is every child having the tools and the skills to be able to deal with overwhelm, to understand that they’re a child of God or the universe and that they can positively influence their life through the power of their thoughts and their actions. MR: Very clear Natalie, very clear. Very precised and focused. 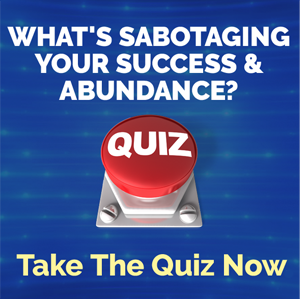 And the third question, what simple, easy, concrete step will you take in the next 24 hours to move that forward even more? NL: Well, that’s the project I’m working on right now. And every single day, I spend at least 2 or 3 hours dedicated to this particular project. MR: And can that now be part of your contribution to heaven on earth consciously? MR: Lovely. So let’s go through the 3 questions. Recall a time when you experienced heaven on earth. What you did was, boom, you answered the question. That’s what everybody does. What no one does Natalie is say what do you mean by heaven on earth? Which I find personally fascinating. How do you know what I’m talking about? But you do, you go right to it. The second question here is the magic wand. Tell me what heaven on earth is for you and people tell me like you just told me. People know what heaven on earth is. So I want to bring that in to conscious conversation and conscious implementation. And then the third question, what simple, easy, concrete step will you take in the next 24 hours to move that forward and you told me. So those 3 questions form the heart of the book and then the rest of the book is about what I call the different gateways because as I spoke to hundreds and hundreds of people, I began to discover, here’s a gateway called the innerworld, there’s a gateway called relationships, called values, there’s a gateway called ending a suffering, making my country a heaven on earth nation. This here is heaven on earth. Each of those statements I just made, each of those are a separate chapter. And so the idea at the end of the book is you will come up with your own heaven on earth project and you will start to take simple actions on it. NL: Yeah. Absolutely. So let’s explore this concept of simple. Now, sometimes common sense is not very common. I think that (inaudible) is that can it be that simple? NL: I think if you drill down deeper on it as well, like when I look at my children’s curriculum and the project I’m working on, Personal Growth Studies is the name of the program. You know, my goal, my end result is that I change a generation. That I reach children around the world but what simple about that is just what the next step is. Like I get, I can get overwhelmed and crushed under the responsibility and the enormity of the goal that I’ve set for myself. But if I’m only focusing on the next step and what’s simple for me to do, what’s next, then everything else falls in to place. MR: Let me talk a little bit more about that because you said something very revealing. I can get crushed by the overwhelm. One of the things that I’ve noticed in terms of mis-beliefs that arise about project heaven on earth, is that it’s overwhelming. I can’t do it, you don’t understand, it’s too big, dadada, dadada…but imagine, 7.7 billion people in the world saying it’s too overwhelming, I can’t do anything. We have the condition we have. The government in your country, last night, where ever you’re listening from, passed a secret law which no longer allows for overwhelm. You can no longer be overwhelm. (Laughter) and so now the question is, what are you going to do? It has to be simple. You’re right. Now, what did you say about generation? Repeat that. NL: My goal is to change a generation. MR: Right. Now when you said it, I just felt bang! You know, it’s so bold, and yet it’s so clear. If you walked out of your building right now and there’s a guy standing there with a silver platter and on it was a changed generation, would you take it? MR: Absolutely. And that’s what I asked people about you know, what’s your bold, what would you, what’s a daring goal for you that really speaks to you. That touches in to that. To change a generation. Very clear. MR: Or not, you don’t know. NL: Well, exactly, but the thing is if I was to go, Ohh, I’m just going to reach a few schools in America, I mean it would be okay to start with that but the thing is when my goal is change a generation, a few schools in America are nothing. Like you know, we start implementing the program in Liberia next month. We have a (inaudible) that are ready to go. We’re looking at schools here in the US. We had meetings yesterday. So I mean, all those little things, I blast past those little goals when I’m focusing at that big one, but again, just keeping it simple and looking at the next step. You know. So Martin, where can we send people to connect with you if they want to participate in the project, you know, the Heaven On Earth Project, how can they do that? MR: Very simple. Go to projectheavenonearth.com. 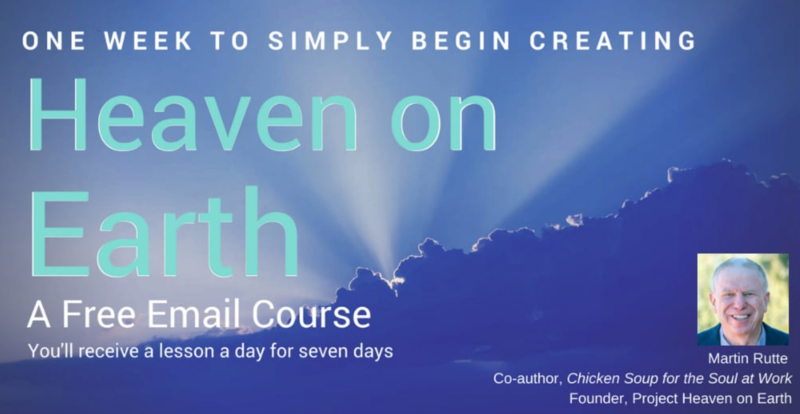 You can sign up for my free 7 day course, you’ll also get a weekly blog in which I normally, because if you get this blog week after week after week, heaven on earth becomes normal, normal, normal, which is what I want. I want to be able to come up to you and say, what are you doing for heaven on earth, you would answer and you’d ask me and I would tell you. The other option of course is go on amazon, look at Project Heaven On Earth or you noticed the title Natalie, it’s also project heaven on earth. MR: It’s both. Project Heaven on Earth. NL: Perfect. Thanks again Martin. It’s always a pleasure talking to you my friend. NL: And guys, I encourage you to please let’s get the word out. Let’s spead the word by clicking the facebook and the twitter share buttons on this page. And you can click on either the banner to the side of the link underneath the video to go directly through to Martin’s website. And after all that is over, don’t forget to click the link below that so that you can download the free ebook version of my bestselling book Never In Your Wildest Dreams. So until next time, remember to live large, choose courageously, and love without limits. We’ll see you soon.